Bhubaneswar is the capital of the Indian State of Odissa. It is the largest city in Odisha and is a centre of economic and religious importance in Eastern India. Bhubaneswar is also known as the ‘Temple city of India’. Bhubaneswar is one of the country’s fastest developing cities and is also been categorized as a Tier-2 city and education hub. The city is famous for its heritage culture around the world. The city has emerged as one of the fastest growing, important trading and commercial hub in eastern India. The literacy rate of Bhubaneswar is 93.15%. The city has government, private engineering colleges, management colleges and other colleges. 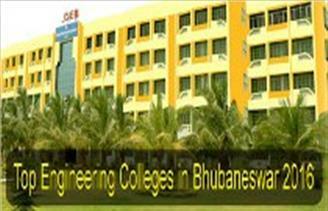 Here in this article we will discuss about the Top Engineering Colleges in Bhubaneswar 2016. We have rated the engineering colleges on the basis of several factors such as their admission procedure, faculty, infrastructure, academic excellence, quality of education, national importance and feedback of students.